Autoimmune disorder of the CNS. Antibodies attack the myelin sheaths surrounding and protecting the axons. Intermitting episodes, called Relapsing Remitting, the body repairs itself to some degree. Chronic attacks, called Progressive, is the most severe where axons/neurons die off. Voluntary movement is disrupted and involuntary control of bladder and bowels. 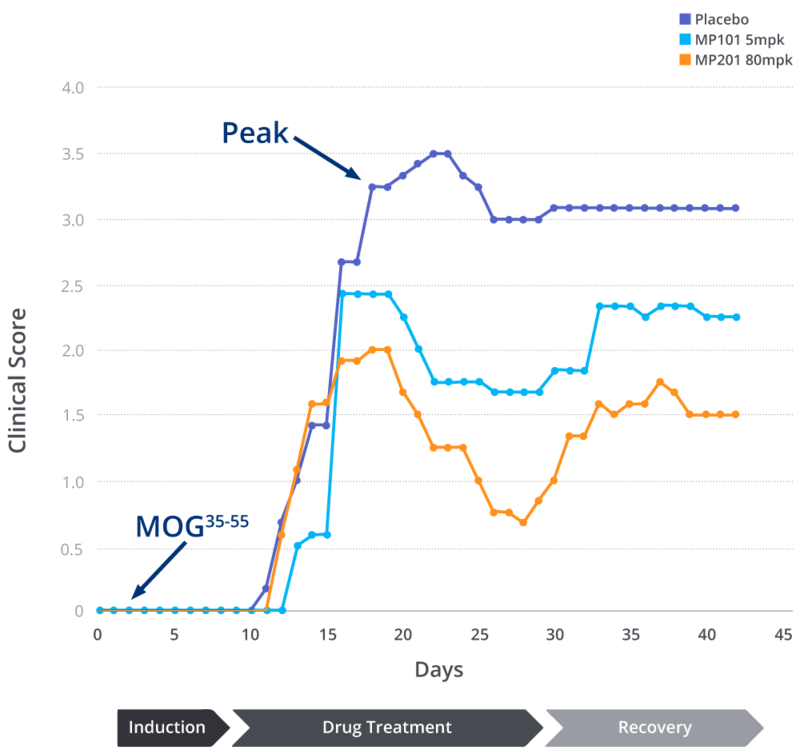 MP101 and MP201 significantly improve Clinical Scores (block paralysis) in the gold standard EAE model. 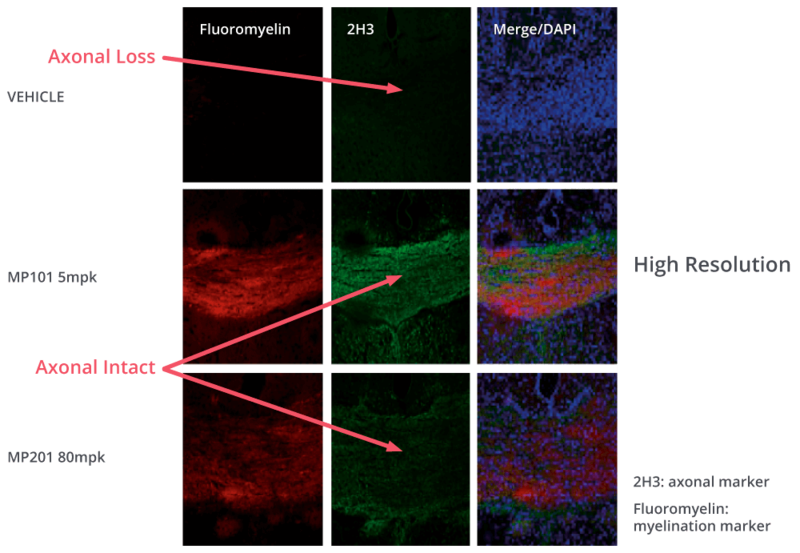 MP101 and MP201 prevents demyelination and destruction of the axon in the autoimmune independent cuprizone model. MP101 and MP201 have a striking effect in preserving body movement and behavior compared to placebo (video). MP101 and MP201 attenuates Multiple Sclerosis using the EAE Model. MP101 and MP201 Protect of Axons in Cuprizone Model. MP101 and MP201 has a striking effect protecting against both demyelination and axonal loss in the autoimmune independent cuprizone model compared to placebo.